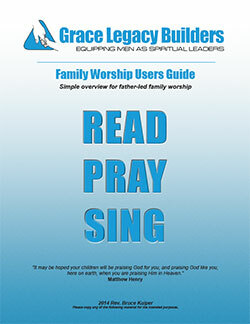 This Family Worship Primers are your guide as you lead your family in worship. These guides include a simplified outline for holding family worship that are designed for the beginner. If you are looking for something more in depth study, we suggest you use our Family Worship Study Guides.